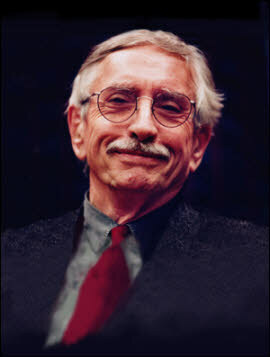 The Farquhar College of Arts and Sciences Division of Performing and Visual Arts will welcome celebrated playwright Edward Albee to Nova Southeastern University as part of the college's 2012-2013 Distinguished Speakers Series. Albee has helped define modern American theatre with five decades of provocative, controversial, and successful plays. A three-time Pulitzer Prize winner, The American Theater Wing called him "the greatest living playwright." Albee is perhaps best known for his 1962 drama Who's Afraid of Virginia Woolf? It received both the Tony and New York Drama Critics Circle awards and is widely considered a classic of American contemporary theatre. Albee's plays explore intimate aspects of society. His first play, The Zoo Story, opened in 1959 and tells the story of a drifter who acts out his own murder with the unwitting aid of an upper-middle-class editor. The play is said to mark the beginning of the American absurdist movement in theatrical drama. His play, The Goat or Who is Sylvia, won the 2002 Tony Award for Best Play. Albee has also won Kennedy Center Honors, the National Medal of Arts, and a special Tony Award for Lifetime Achievement. He had three plays produced in New York during the 2007-2008 season: Peter and Jerry with Bill Pullman; a revival of his one-act plays The American Dream and The Sandbox; and Occupant about Louise Nevelson. His play Me, Myself and I opened at the McCarter Theater in January 2008, and made its off-Broadway debut in the fall of 2010. In 2011, the Arena Stage Festival at The Mead Center for American Theater honored Albee with the annual American Artist Award as well as 26 staged readings of every play he has produced since the late 1950s . Albee was the 2011 recipient of the prestigious Edward MacDowell Medal for Lifetime Achievement. Albee has said that art should be dangerous, that it should reveal human shortcomings and complacency-inspiring us to live more fully. As part of the college mission to prepare students for rich professional careers and active citizenship, the college frames co-curricular programs and experiences around a broad annual theme that unites our community in interdisciplinary exploration. The academic theme for the 2012-2013 school year is "Life and Death." Albee will speak on this theme.